This is my director’s cut of the lifestyle videos I created with some actors for Aaptiv. Aaptiv is an audio fitness app that contains trainer guidance (and great music) to keep you going regardless of your workout: running, eliptical, strength, etc. Shot in Soho here in New York as well as a great West Side studio near Hudson Yards. 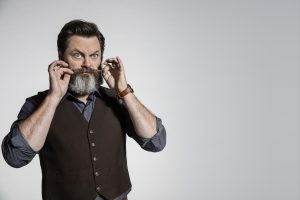 Great pleasure to photograph a very funny man, Nick Offerman. 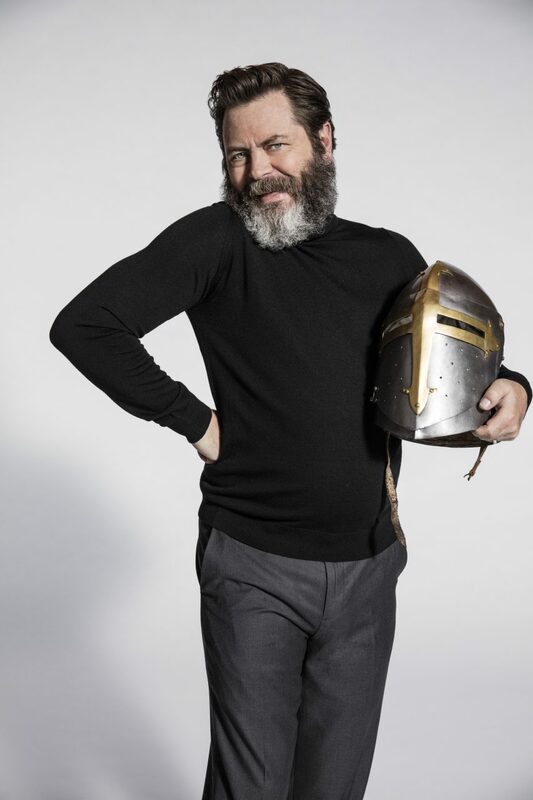 We had a great time on set in LA as he played with our various medieval props. He was reading, A Connecticut Yankee in King Arthur’s Court for Audible. 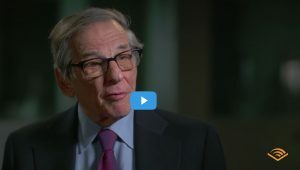 I had the great opportunity to meet and photograph a very smart man, Robert Caro. Caro who won the Pulitzer Prize for The Power Broker, a biography of Robert Moses. Moses was responsible for much of the transportation structure (good and bad) for the City. Mr. Caro, who wears a suit everyday and reports to his personal office on a strict schedule for his business of writing is a very determined and focused individual. 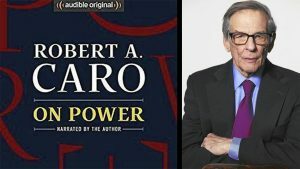 Now in his 80’s, he read his memoirs and the creation of the Moses book for Audible. I shot Gabby Sidibe for Audible! 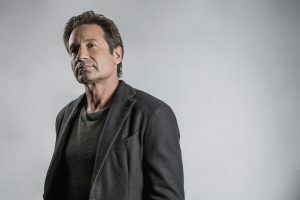 Gillian Anderson and David Duchovny reprised their roles for Audible in a new release of the X-Files. I shot Gillian in London where she was shooting for her TV series, The Fall. David, we did in a very, very tiny recording studio on the Upper East Side.